A quickfire goal from Zlatan Ibrahimovic was enough to secure victory for Sweden in Kazakhstan. The Paris St Germain forward struck after just 27 seconds at the Astana Arena to ensure Erik Hamren's men followed up Friday's win over the Republic of Ireland with three more points. With the runners-up spot within reach, Sweden were eager to get the goals in Astana which would put further pressure on chasing Austria and the Republic of Ireland. But even they could not have envisaged the start given to them by Ibrahimovic, who benefited from a swift attack by carving his way through the home defence before slotting the ball into the bottom right corner. That beat the previous quickest goal for Sweden scored by Marcus Allback after 35 seconds against Latvia in 2007. 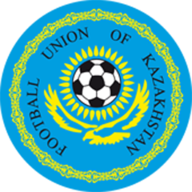 Kazakhstan responded within minutes with a strong drive from Sergey Khizhnichenko, which was pushed round the post by goalkeeper Andreas Isaksson. Andrei Finonchenko also threatened an equaliser after 10 minutes, hitting a powerful shot from 20 yards which missed the left post. Andrey Sidelnikov was then put to work at the other end of the pitch, with the Kazakhstan keeper getting his hands to efforts from Alex Kacaniklic and Johan Elmander. The home side had done well to recover from the early setback though, and should have been level four minutes before the interval but Finonchenko saw his cross-shot saved by Isaksson's feet. Isaksson was also kept busy at the start of the second half, denying Viktor Dmitrenko from close range as Kazakhstan continued to cause problems on the artificial turf. Albin Ekdal tried to take the heat off the Sweden players after 64 minutes with a strike from inside the area, but was frustrated to see it bounce back off the post. And the visitors piled forward again 10 minutes later to be met by a defiant Sidelnikov, who parried a left-footed drive from Kacaniklic before stopping the follow-up from Mikael Antonsson. 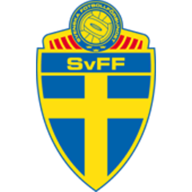 The closing stages was all one-way traffic as Sweden looked to wrap up the win but the nearest they came to scoring again was a 20-yard drive from Ibrahimovic which Sidelnikov cleared with his feet.